Immediately i found the Strawberry and Cream Pudding Cookies recipe, i knew i had to make it. Part of baking during the holidays involves clearing out your pantry. I see the holiday season as a time where I can bake a ton and in the process, use up almost everything I bought in the last few months. So, I decided to use up a box of strawberry pudding mix. I honestly never use or buy strawberry pudding but I wanted to bake a strawberry cake so I bought the pudding mix. My strawberry cake plans never came to fruition so I was stuck with 1 lonely box of pudding mix. Last week I found a recipe for Strawberry and Cream Pudding Cookies that called for a small box of strawberry pudding mix. I knew straight away that I wanted to make this recipe into a crinkle cookie. So, I left out the white chocolate chips when I made this recipe. Furthermore, I felt that that white chocolate chips would add to the sweetness of this cookie and make it jaw-achingly sweet. 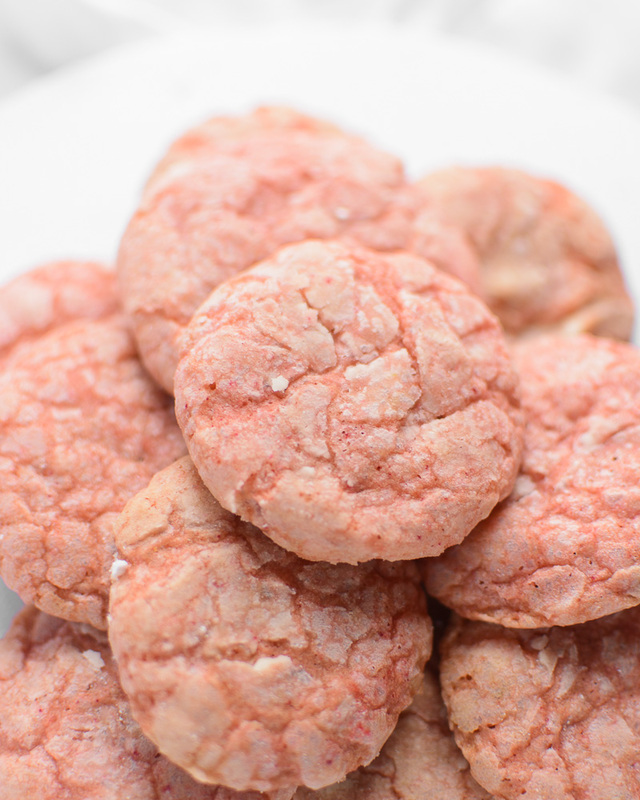 Here is my review for the Strawberry and Cream Pudding Cookies by Oh Sweet Basil. The ingredients used to make the Strawberry and Cream Pudding Cookies are all mostly essential baking ingredients. The only thing that may be hard to find is the strawberry pudding mix. If you do not have strawberry pudding mix, feel free to use whatever pudding mix you have. Lemon, caramel and butterscotch pudding mix will work fine. The instructions for making this recipe is straightforward and pretty basic. To make this recipe, I creamed the butter and sugar. After doing this, I added my egg, When the egg was mixed in, I stirred in the pudding mix and flour. Immediately the dough formed, I portioned the cookie dough into one tablespoon scoops. I proceeded to roll the cookie dough in icing sugar because I wanted a crinkle cookie. I baked the cookies for 8 minutes and left the cookies on the baking sheet for another 5 minutes. While they looked really soft when I turned off the oven, these cookies were crunchy around the edges when they cooled down. If you prefer soft cookies, I recommend switching off your oven at the 7-minute mark and transferring your cookie to a cooling rack as soon as possible. When you take this cookie out of the oven, this cookie is crisp at the bottom and edges. The middle is very chewy. it was so chewy that it stuck to my teeth when i took a bite of this cookie. Importantly, it is not tough or dummy like a caramel chew. After a day or two, this cookie became more tender and less chewy. I recommend that you put the Strawberry and Cream Pudding Cookies in an airtight container immediately the cookies cool down. I rolled these cookies in icing sugar before baking it and the sugar creates a crunchy exterior after the cookies are baked. Overall, I found the texture of this cookie to be very satisfactory. The flavor of the Strawberry and Cream Pudding Cookies was the high and low point of this recipe review. Whatever pudding mix you use is going to provide the flavor of these cookies. If your pudding mix has a chemical aftertaste, your cookies will have the same aftertaste. My strawberry pudding mix had a light strawberry flavor and a slight metallic aftertaste. I had never used this brand of pudding before so I was unaware of the issue with the aftertaste. When I tasted the cookie, I was able to pinpoint the aftertaste and this was not something that I could ignore. That said, I will use a different brand of pudding mix the next time I make this Strawberry and Cream Pudding Cookies recipe. I recommend that when you are making this recipe, you use a brand that you trust. Apart from the strawberry flavor, you can barely taste any other flavors. The vanilla is invincible and the almond extract is nearly lost in the flavor of the artificial strawberry. I feel like the almond extract was invisible because a small quantity was used in this recipe. 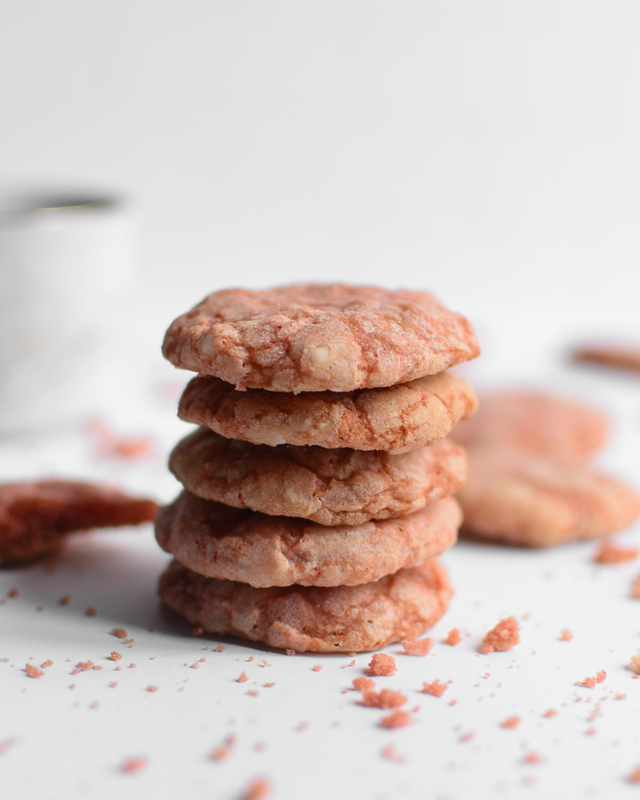 If you would like your cookie to be a dramatic pink color, you could add a drop of pink or red food color to your dough and mix well before baking. Use no-taste food colors because some food color gels or pastes have a bitter taste. So I decided to dunk my cookie in white wine while I was tasting the cookie. 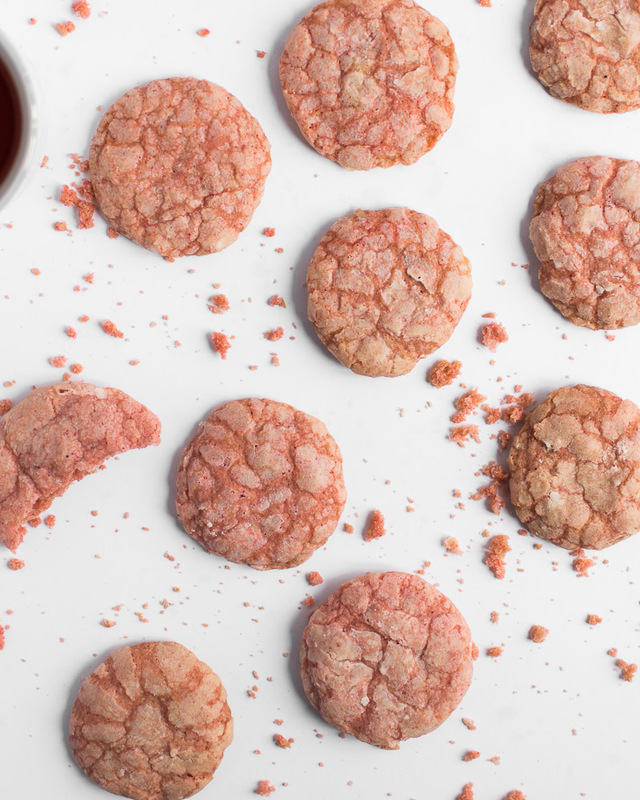 To me, strawberry, wine and holidays are a match made in heaven so why not mix strawberry cookies and white wine? The flavors were beautiful together, the light strawberry flavor and the sweetness of the cookie paired beautifully with the tart almost floral notes of the dry white wine. I know it seems odd but WTH, you should try it. Do I recommend this recipe? Yes, the recipe makes a tasty cookie. 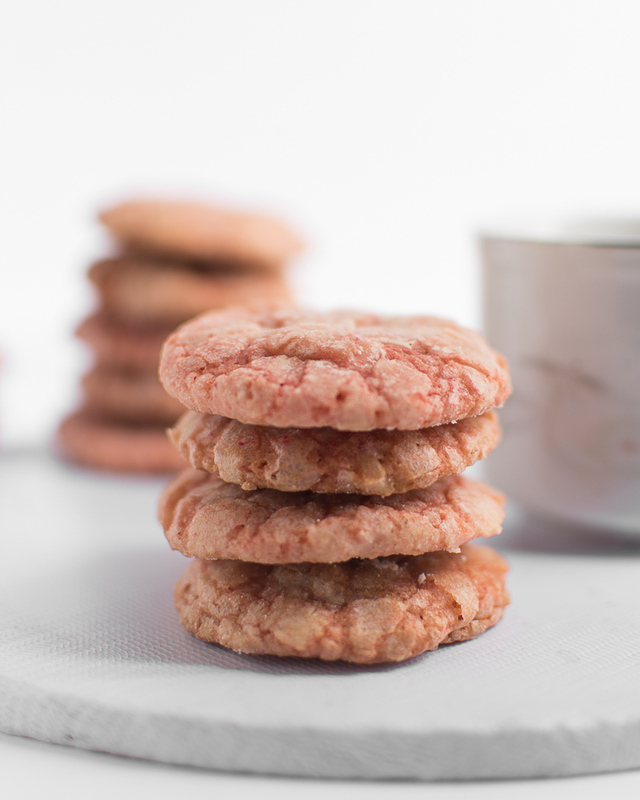 The cookies are sweet, chewy yet crisp and it reminds me of a strawberry wafer that I used to eat as a child. You should make this recipe. If you enjoy reading my recipe reviews, subscribe to my mailing list. Follow me on social media to stay in touch. If you have a recipe that you would like me to review, leave a link to the recipe in the comment section. Today, i will be reviewing the Easy Coconut Oatmeal Cookies Recipe by Lil Luna. First off, holidays and coconuts go together beautifully. I do not eat coconuts often even though there are numerous coconut trees in my home. So, when I decide to break out coconut (no pun intended), it is always for a special occasion. 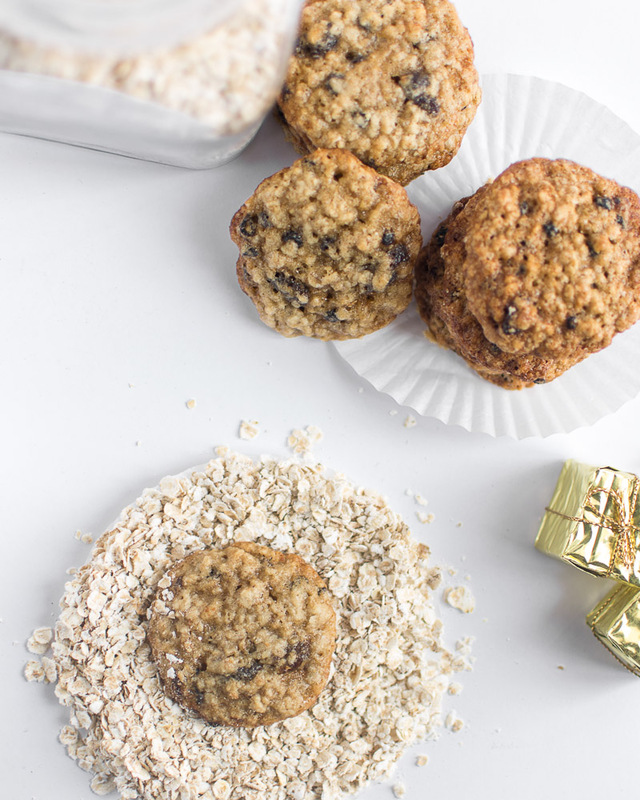 Also, I love oatmeal cookies so I was excited to try out this Easy Coconut Oatmeal Cookies Recipe by Lil Luna. That said, I did not have any desiccated coconut available and I did not want to go to the store so I made my own desiccated coconut. To make desiccated coconut, I broke a fresh coconut, peeled away the husk and peeled the brown skin. Then, I grated the white flesh. I mixed the grated coconut with 3 tablespoons of powdered sugar and spread the coconut out on a baking sheet. I set the temperature of my oven to 130F and put the grated coconut in the oven. After the coconut was in the oven for 1 hour, it was quite dry. The grated coconut no longer stuck together and could be blended into a fine powder. If you cannot find desiccated coconut and choose to make yours, remember to keep an eye on your grated coconut. The coconut should not brown. It should be significantly drier than when you put it in the oven. If you do not dry your coconut thoroughly, it will go rancid quickly. 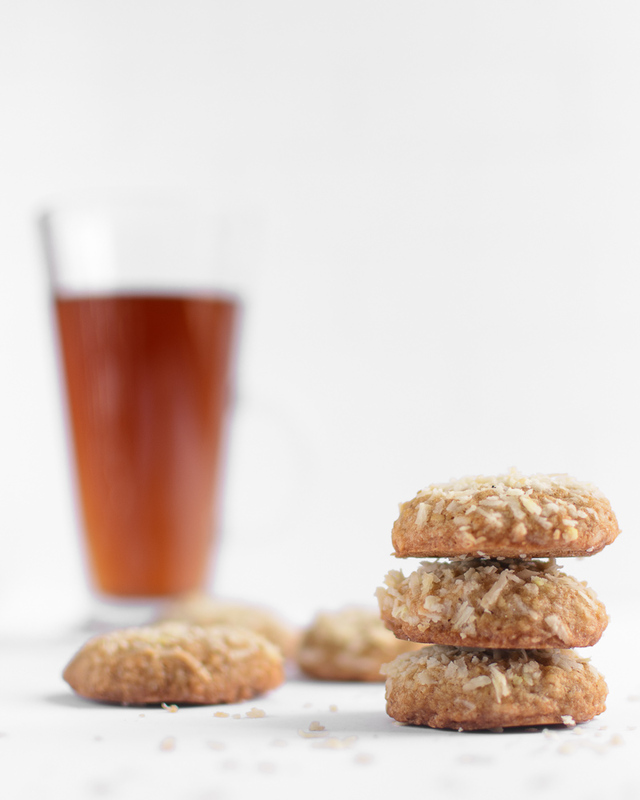 Back to the review of the Easy Coconut Oatmeal Cookies Recipe by Lil Luna. The Easy Coconut Oatmeal Cookies Recipe called for essential baking ingredients, some desiccated coconut, and oatmeal. The instructions were easy to follow. I creamed the butter and sugar, added the egg and stirred in the dry ingredients. After I mixed up the cookie dough, I put the dough in the fridge for an hour. I put the dough in the fridge so that it would be easy to portion out. Furthermore, I wanted a thick chewy cookie so chilling it before baking prevented it from spreading out too much. I portioned my cookie dough into 1 tablespoon scoops and baked them for 12 minutes. After the baking time elapsed, I let the cookies cool on the baking sheet for a few minutes before moving the cookies to a cooling rack. 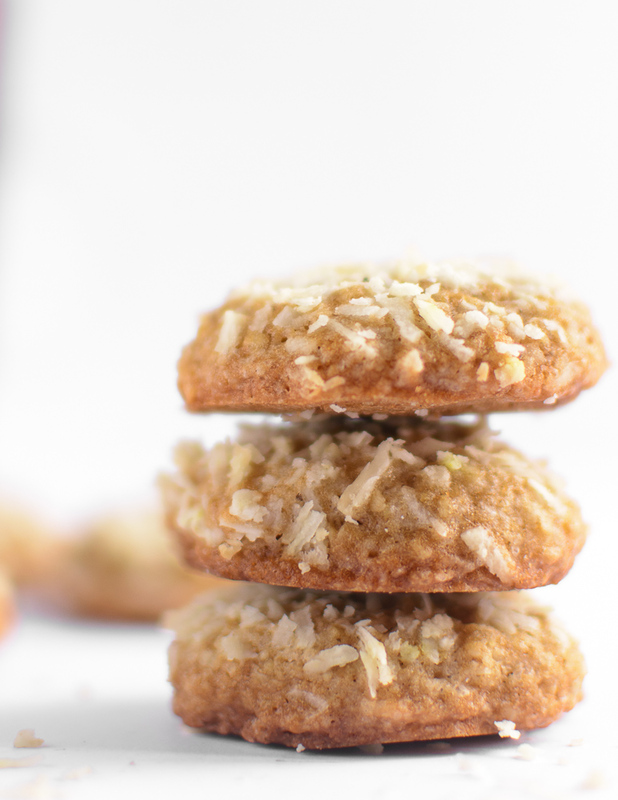 The first thing that comes to mind when I eat this easy coconut oatmeal cookie is 'Chewy'. The coconut and oatmeal contribute to this texture. While warm, this cookie was soft and chewy and the middle had a certain creaminess to it. I imagine that this is because of the oatmeal I used. When baked a little longer, this cookie is drier but still incredibly chewy without being tough. The edge of this cookie was crisp and shattered beautifully in a way that reminded me of a wafer. That said, I baked this recipe twice and found that the texture of this cookie depends greatly on how you bake it. The second time I made this recipe, I did not bake this cookie for very long and took the cookies out of the oven immediately the baking time elapsed. The result was a soft cookie that was slightly dense and chewy. I topped my cookies with some coconut before baking it. I wanted the texture and decorative look from the coconut. 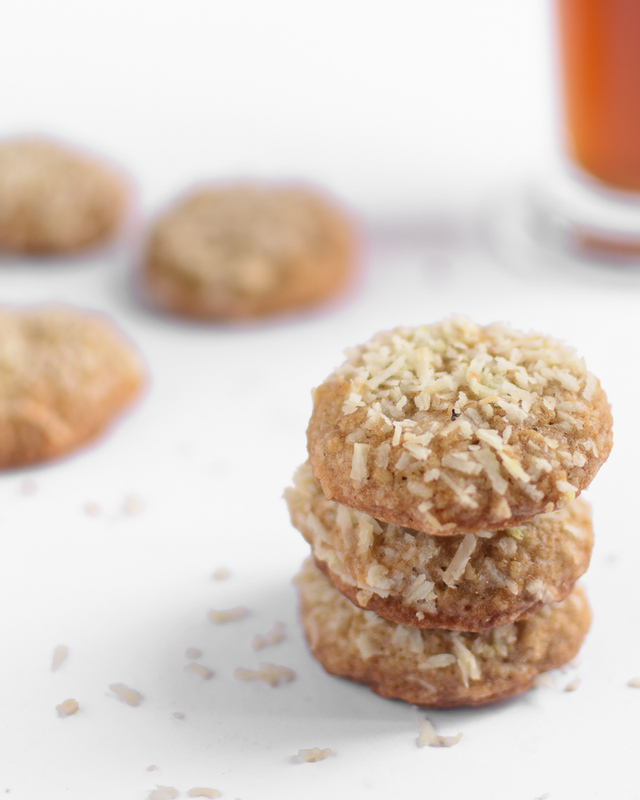 The Easy Coconut Oatmeal Cookies have lovely nutty notes. The coconut is the dominant flavor and the oatmeal also provides a creamy flavor with some underlying nutty notes. The almond extract enhances the flavors of the coconut and oatmeal without being distinct and prominent. If you do not like almond extract,you should still use the quantity called for in the recipe. This is because you will not be able to taste the almond extract in the cookies. 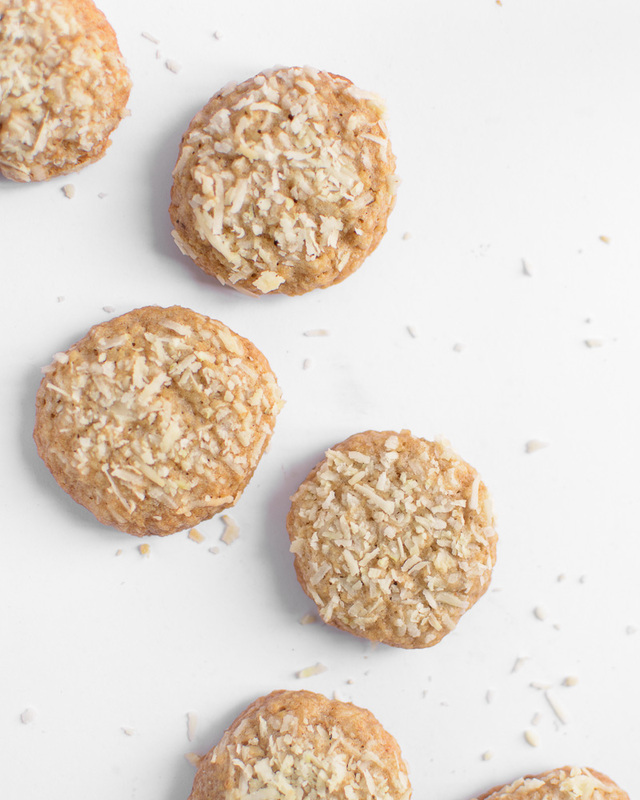 The easy coconut oatmeal cookies are not overly sweet. This is an advantage because it can be a bit tiring to eat cloyingly sweet treats. 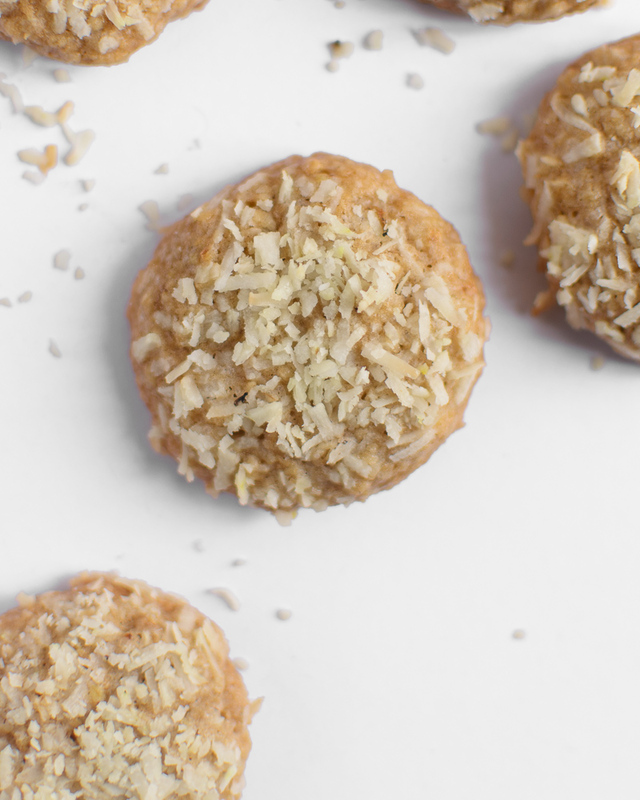 Overall, this cookie recipe will make coconut lovers very happy. All my taste testers were happy with the cookies this recipe produced. Yes, it is a recipe that I feel will be a fave during the holiday season. The Easy Coconut Oatmeal Cookies are a crowd-pleaser and are suitable for cookie exchanges or swaps. The holidays are upon us and today, I will be reviewing this 'No Chill No spread Chocolate Sugar Cookies Recipe from 6 cakes & more' as part of the #holidayeats series. If you are like me and hate guesstimating how much your cookies will spread while baking, you should try no spread cookie recipes. I also hate trying to guess if I need to press down a cookie before baking it. This is why I prefer no spread cookies. So, back to the recipe review. The recipe for the No Chill No spread Chocolate Sugar Cookies calls for ingredients that I have in my pantry at all times. The instructions were easy to understand and follow. Making this recipe involved mixing the butter, sugar, oil, and vanilla. After mixing this up, I added my egg and stirred that in. Then, I added my dry ingredients and mixed till the everything was combined. 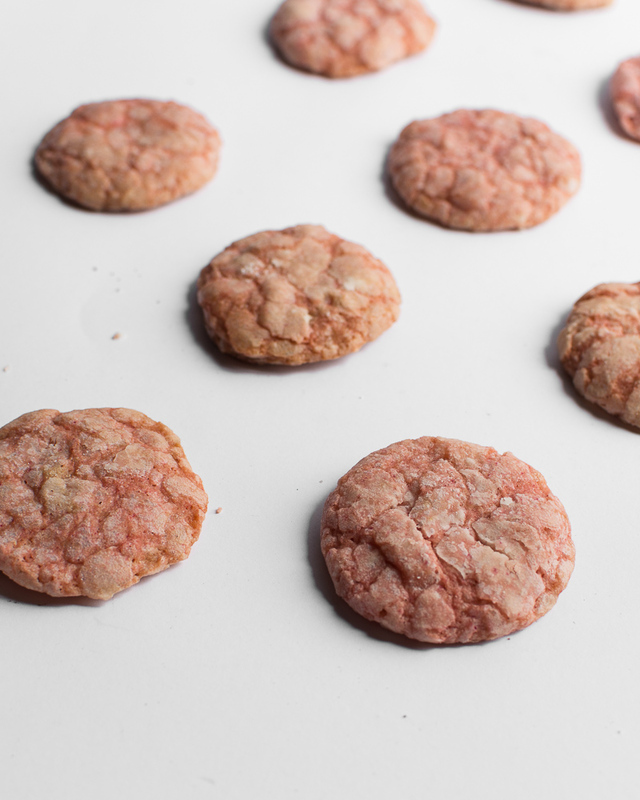 Once a dough formed, I rolled out my dough on a silicone baking sheet and cut out my cookies. I lifted the cut-out cookie dough with a spatula, placed the cookies on my baking sheet and baked the cookies. The cookies did not spread but they rose slightly in the oven. - To roll out my cookie dough evenly, I placed the cookie dough between two dowel rods and rolled out the dough. - If your dough feels really soft, place it in the fridge for a few minutes before working with it. - If you will roll out your cookie dough on a silicone mat/ sheet, dust your surface and rolling pin with a little powdered sugar to stop the dough from sticking. The outer edges of the No Chill No spread Chocolate Sugar Cookies were crisp. The middle was soft and tender. However, it was not crumbly like shortbread. These cookies do not have the crunch or snap of a biscotti cookie. If you prefer a crunchy cookie, bake your no spread cookies for a second time at a low temperature for 10 minutes and put the cookies in an airtight container immediately they cool down. The first thing that I noticed after I tasted this cookie was the flavor of the chocolate. The chocolate flavor was prominent without being bitter. 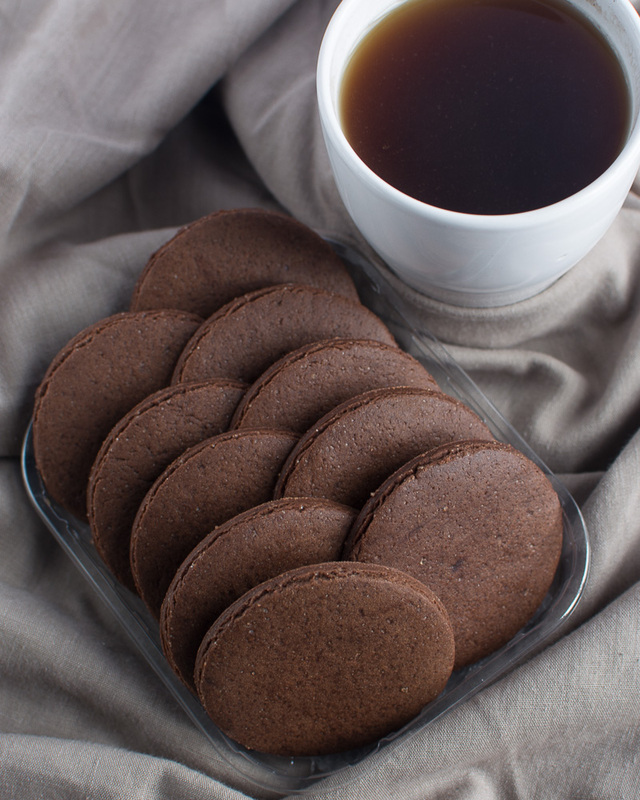 The slight sweetness of this cookie disguised any bitter notes from the cocoa powder. However, I could taste the cornstarch. It was a subtle taste that lingered beneath the flavor of this chocolate sugar cookie. The taste of the cornstarch made it difficult for me to eat this cookie on its own. To enjoy this cookie, you may need something else added on as a filling or topping. That said, the No Chill No spread chocolate Sugar Cookie does not have the intense chocolate flavor of some other chocolate cookies I have tried. 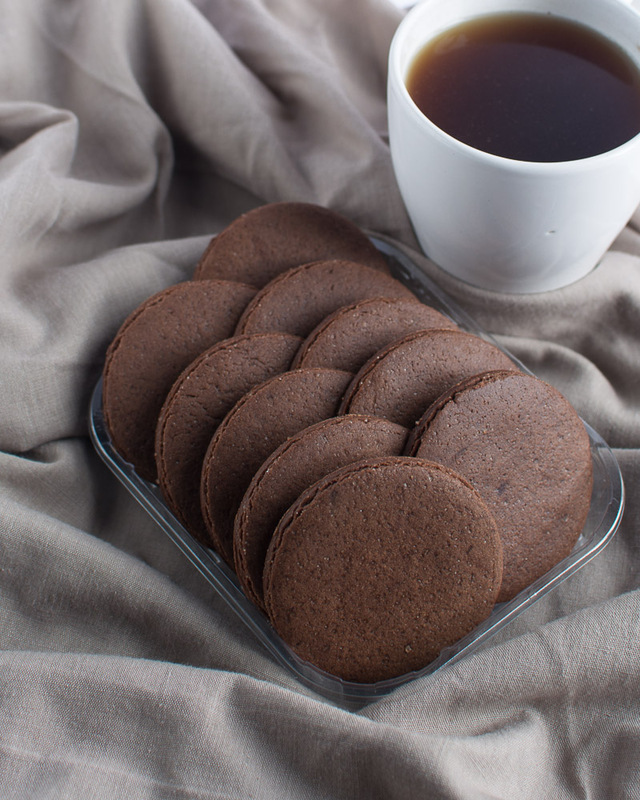 If you are looking for an intense, almost bitter chocolate cookie, check out my recipe review of the Chocolate Crinkle Cookie by Bigger Bolder Baking. Do I recommend this No Chill No Spread Chocolate Sugar Cookies Recipe? 2. It tastes OK but a little filling elevates this recipe. I have had this cookie with some easy caramel sauce with milk and it was amazing. The chocolate complimented the flavor of the caramelized sugar and the butter in the caramel sauce beautifully. 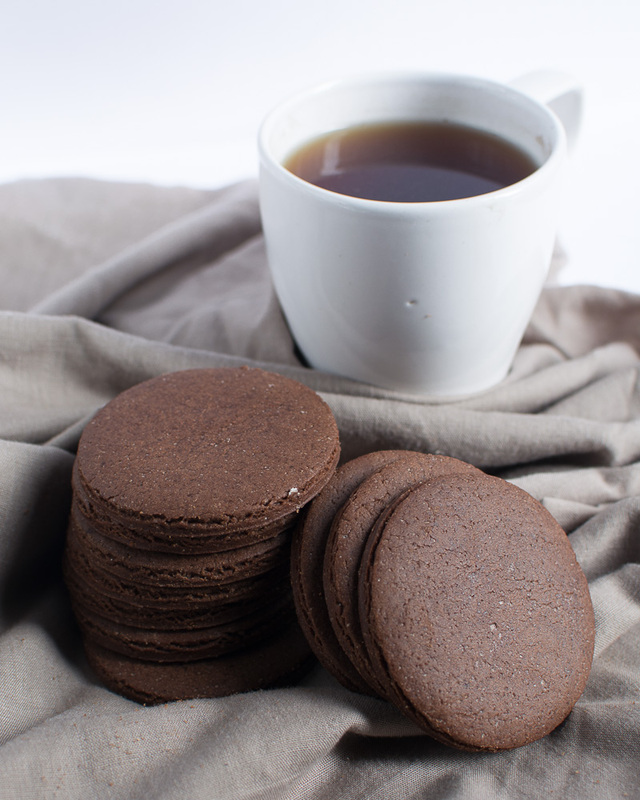 Chocolate ganache will enhance the flavor of this cookie and provide the intensity some chocolate lovers may crave. Who should you make this for and what should you fill this cookie with? Make the No Chill No Spread Chocolate Sugar Cookies for your holidays and fill it with a caramel sauce, ganache, marshmallow fluff, swiss, Italian and American buttercream. If you would like me to review a recipe, leave a link to the recipe in the comment section. When it comes to the holidays, I believe that caramel sauce should be included in every dessert spread or every dessert table. This is because caramel sauce pairs well with many different flavors. 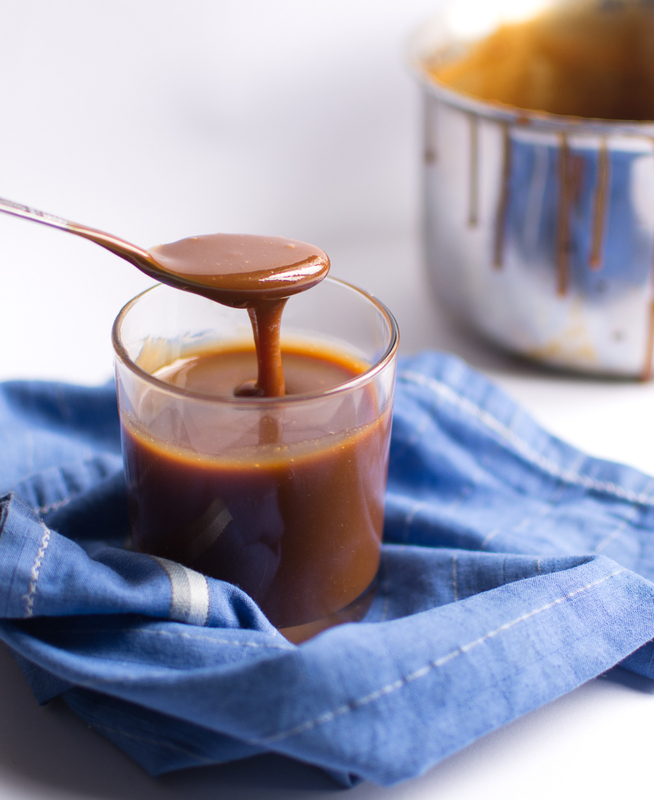 Today, I will be reviewing the Easy caramel sauce made with milk by The Spruce Eats. Why did I choose to review this recipe? I live in Nigeria and whipping cream or heavy cream which is usually used to make caramel sauce is quite expensive. Even half n half is hard to find. This is practically a luxury item and is not something I can store in my fridge because of the power outages that I experience. Hence, I decided to look for a caramel sauce recipe that used milk instead of heavy cream. I searched online and found this recipe. 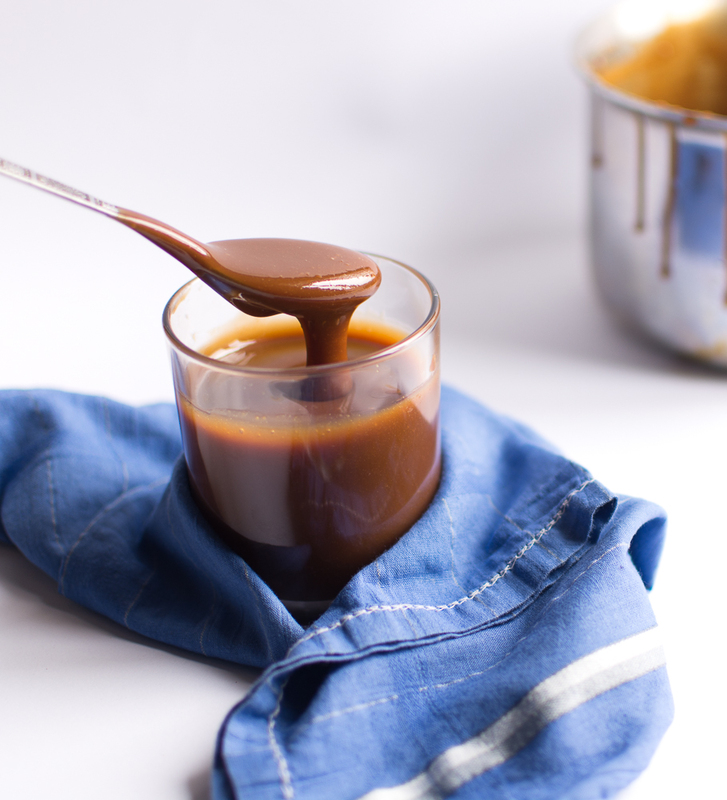 Here is my recipe review for the easy caramel sauce made with milk recipe by The Spruce Eats. The ingredients in this recipe are baking essentials that I always have available. The instructions are clear and easy to follow. The steps for making this recipe include cooking your water and sugar till the mixture is golden brown. Afterward, you remove it from the heat and whisk in your butter and milk. Next, you return the pot to the burner for about 1 minute, stirring constantly. Then, it is ready. Note: The longer you cook your water and sugar mixture, the thicker your caramel sauce will be. If you pass the golden brown stage and burn your caramel, discard the caramel. It will be bitter and ultimately be a waste of ingredients if you go on to add the milk and butter. If you add your butter and milk too soon or before your water and sugar is golden brown, the caramel sauce will be too thin. The caramel sauce made with milk produced a silky, smooth caramel sauce that did not have any sugar granules. It was thick but still fluid enough to be drizzled on a dessert while it was at room temperature. When kept in the fridge, this easy caramel sauce thickened considerably and resembled a thick caramel paste. After being in the fridge for 1 week, the sauce developed a slightly gritty texture. For this reason, I suggest that you use this caramel sauce immediately after you make it or soon after making this. 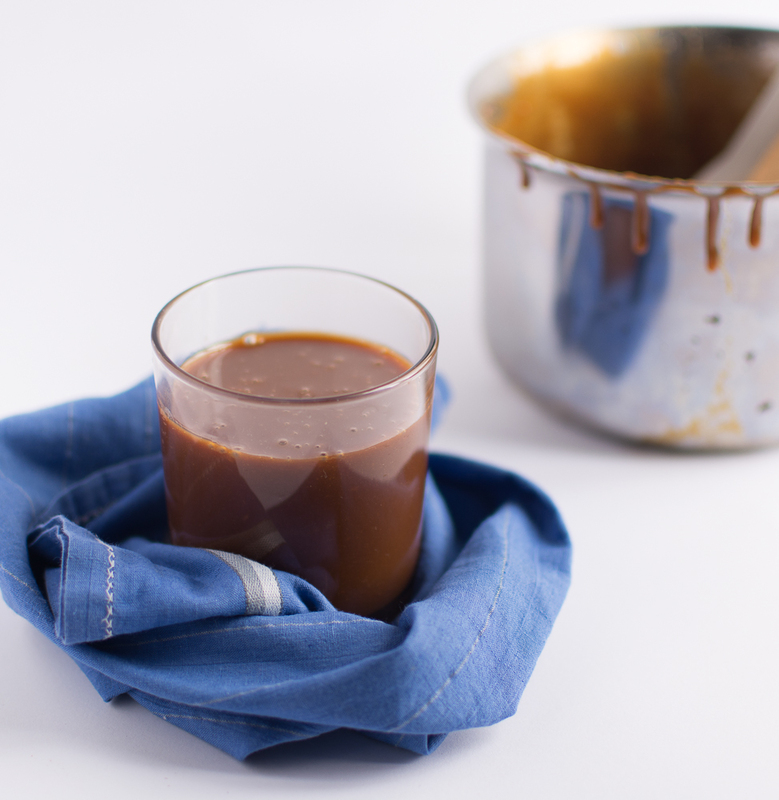 The taste of this easy caramel sauce made with milk is the bomb. It tastes like regular caramel sauce and the whipped cream is not missed. Undeniably, heavy cream adds a richness to your caramel sauce but it was not missed when I made this recipe. This caramel sauce is nicely flavored. There is a depth in the flavor profile. There is the sweetness of the sugar, the deepness coming from the caramelization of the sugar. The butter shines through and this recipe takes on any flavor addition wonderfully. I have added vanilla, rum and orange zest to my caramel sauce on different occasions and the flavors were always prominent in the caramel sauce. This recipe is lean when compared to the caramel sauce made with heavy cream. Yes, I recommend the easy caramel sauce made with milk from The Spruce Eats. I especially recommend this to bakers who live in countries where heavy cream is not available or is expensive. You can use skimmed milk, evaporated milk, vegan milk substitutes etc. 1. If you do not cook your sugar and water mixture long enough, you will end up with a watery/liquid caramel even after the caramel sauce cools. To fix this, put your caramel sauce on a low heat and stir continuously for 1 minute till the sauce thickens. 2. If your caramel sauce is too thick, add a tablespoon of milk or more gradually and stir thoroughly. After stirring in the milk put the sauce on a low heat for 30 seconds to 1 minute to bring up the temperature of the caramel sauce and to make sure everything is properly incorporated. 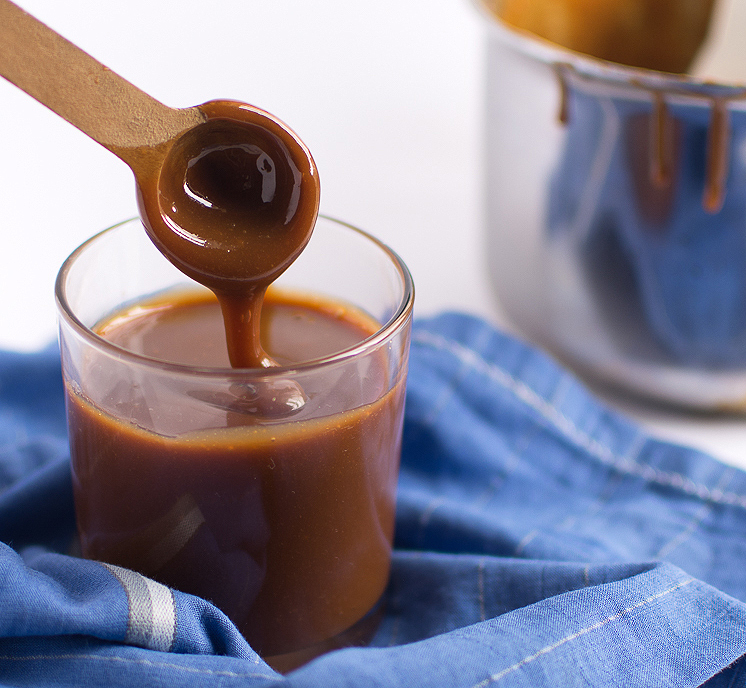 So, add this easy caramel sauce made with milk to your holiday baking spread. Serve it with your cake, cupcakes, pancakes, sweet bread etc. I feel that this recipe will taste great between no spread cookies as well. If you enjoy reading my recipe reviews, subscribe to the mailing list to stay in touch. If there is a recipe that you would like me to review, leave a link to the recipe in the comment section. 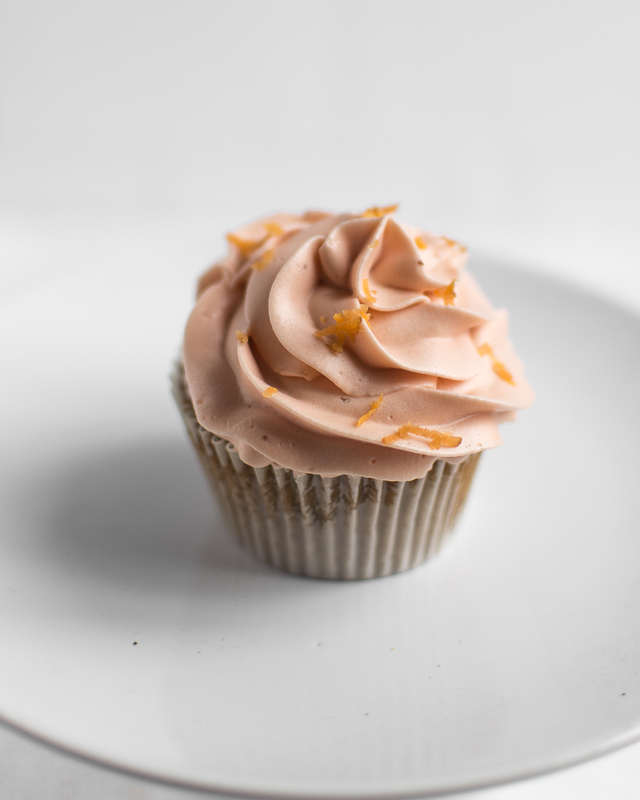 I have been busy but I am here to talk about carrot cake cupcakes. Today, I will review a carrot cake cupcake recipe. Anyone who has tasted carrot cakes made by different people will tell you that the flavor and texture of a carrot cake can vary greatly. Unlike a vanilla or chocolate cake that can taste nearly identical sometimes even when made by different people, a carrot cake is different. Some have pineapples or pecan or raisins and this contributes different things to the texture or flavor of a carrot cake. Some carrot cakes are dense and moist, others are light are fluffy. Because of the large variations of carrot cake recipes, I do not believe there is a ‘best’ carrot cake, I believe you can find a recipe you love. So, I kept this in mind while making this recipe. 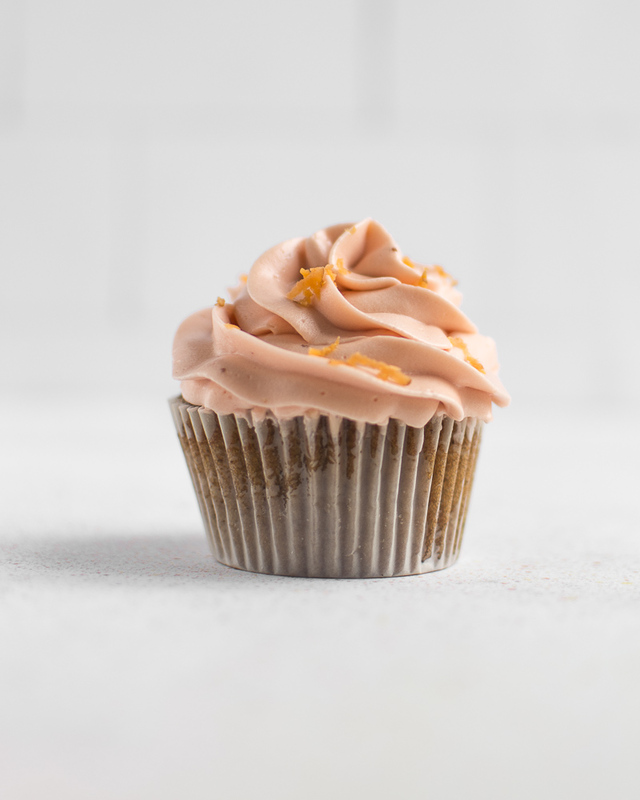 I got the recipe for these Carrot Cake Cupcakes from Sugar spun run and I was intrigued because she said this recipe made a soft fluffy carrot cake cupcake. I had to wait to buy carrots before making this recipe because while I had all the basic ingredients available, I did not have any carrots. The Carrot Cake Cupcake recipe by Sugar Spun Run was well written, and some ingredients were converted into grams which made It easier for me to measure out the ingredients. The instructions were easy to follow. The instructions involved: mixing the dry ingredients, mixing the wet ingredients into the dry and then folding in the finely shredded carrots. After mixing the batter, I put 3 tablespoons of batter into each cupcake liner and baked the batter in a preheated oven for 20-22 minutes. Mixing the batter took about 10 minutes including the time it took to prepare my ingredients. the mood to wash a food processor jar. So, I shredded the carrots using the fine setting on my grater. Note: I mixed my ingredients by hand because the power went out. The recipe still worked out great. I baked the carrot cake cupcakes for close to 24 minutes and these cupcakes rose double its original height. Do not overfill the cupcake pan. These cupcakes are soft. I would call it fluffy but a fluffy cake has a bounce when you squeeze it. 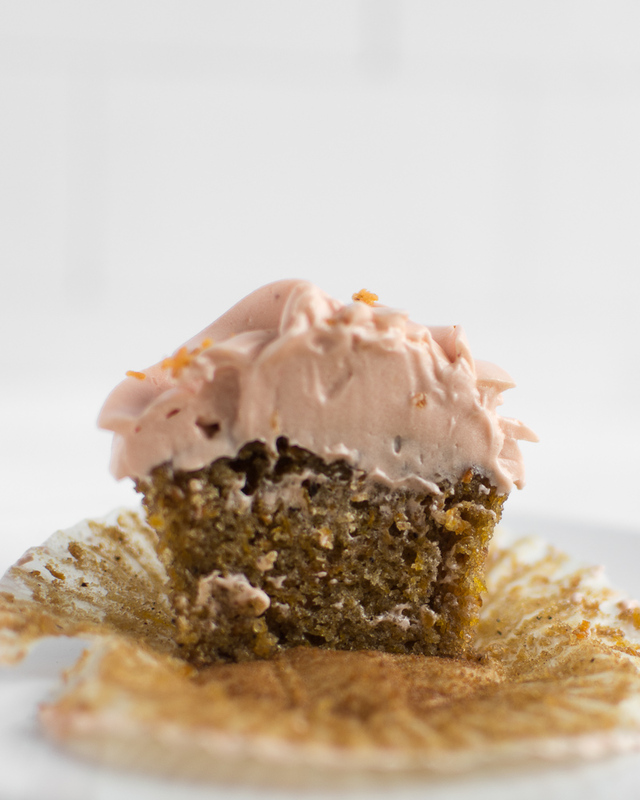 This Carrot cake cupcake is soft and when you chew, it practically melts away. These cupcakes were also incredibly moist but left a little oily feel in my mouth. I did not love that, but that was not enough to make me stop eating. The carrots provide very little texture. If I did not know I was eating a carrot cake, I would not know that there were carrots in the cupcakes. The top of the cupcake was sticky, but that was because of my oven. The bottom of the carrot cake cupcake was my favorite part. The bottom was chewier than the rest of the cake. It made me want to spread this batter into a 9x13 pan and get a thin, crispy carrot cake Blondie or a brittle. One look at the recipe tells you what to expect taste-wise. This recipe includes carrots and spice. There are no pineapples, oranges and the nuts /raisins are optional. This gives you a clean carrot cake flavor profile. The first thing that came to mind when I tasted this cake was ‘this is sweet’. Yes, I know that cake is supposed to be sweet but I feel the sweetness can distract you from the actual flavors. Once I got past the sweetness, I could taste the cinnamon, nutmeg and the hint of vanilla. The flavor of this recipe is nicely balanced. The brown sugar added something deeper to the flavor. The carrots were not very prominent in the taste chart and this was just fine. Yes, I recommend the Carrot cake cupcake recipe from Sugar spun run. Although I found the recipe really sweet, I could not stop eating it. My taste testers loved it as well. I recommend that you make these cupcakes and put them on your dessert table or platter. The flavor screams holiday and this quick recipe is ideal for the busy baker. If you dislike sweets but still want to try this recipe, do not make the cream cheese frosting. 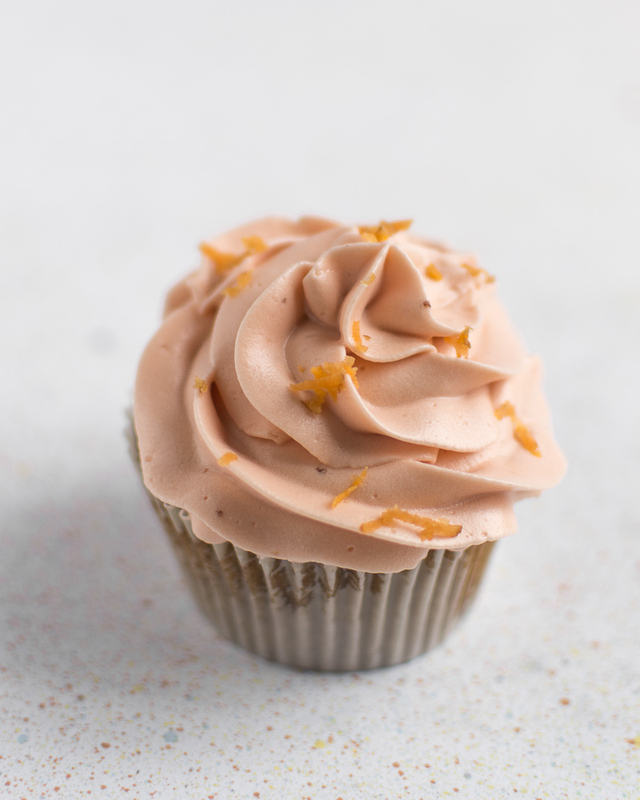 I topped the cupcake pictured in this blog post with a silky, smooth and subtly sweet Swiss meringue buttercream. Comment below and sign up to receive updates when I post something new. If there is a recipe you would like me to review, leave it in the comment section. Do oatmeal & raisin cookies ever look beautiful? I do not think so. Today, I tried the giant Oatmeal & Raisin Cookie recipe from Bigger Bolder Baking. In the spirit of the holidays, I have been trying and reviewing recipes that I feel are very holiday appropriate. This is one of them. 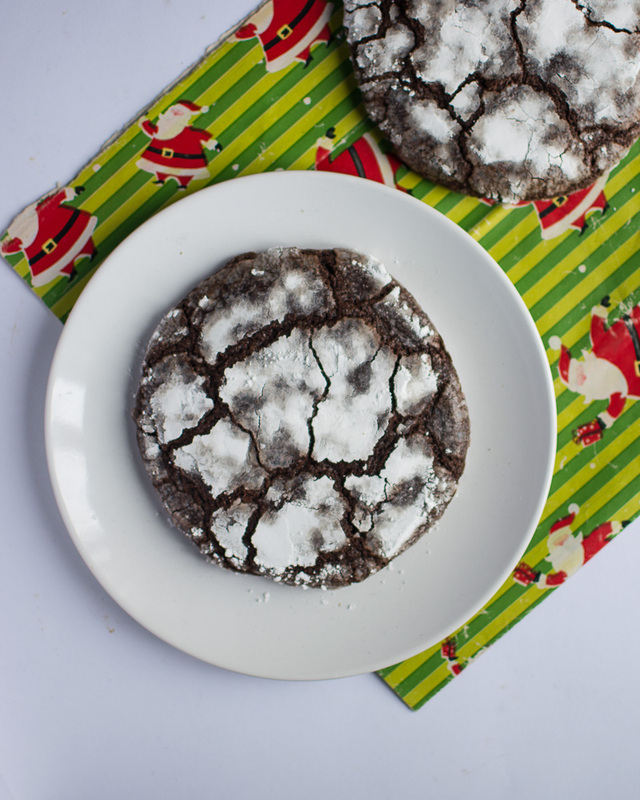 Previously I tried the chocolate crinkle cookie and I loved the results. Here is my recipe review of the Giant Chocolate Crinkle Cookie. 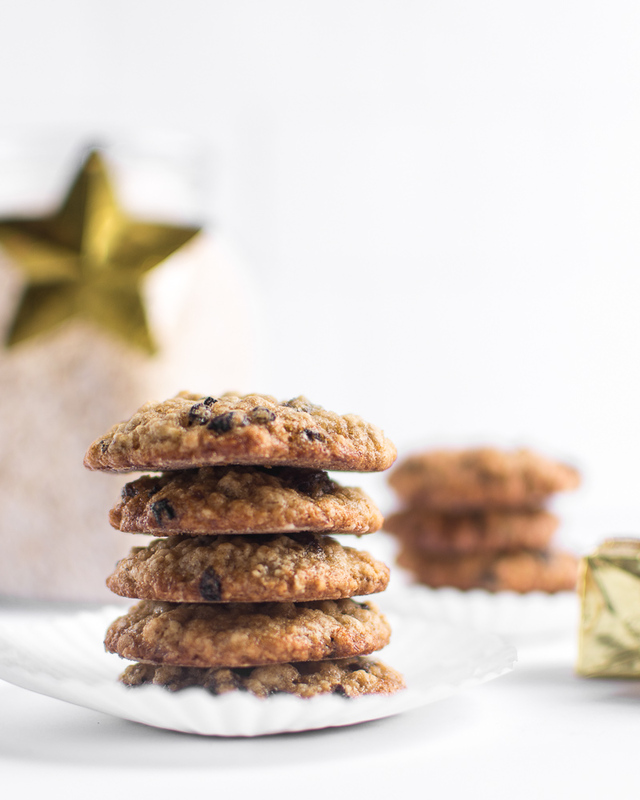 The ingredients in this giant oatmeal & raisin cookie recipe are baking essentials that I always have in my pantry. The instructions are easy to understand and follow. If you have all your ingredients organized, you can mix up this cookie dough in about 10 minutes. Mixing this recipe is very simple, it involves creaming your butter and sugar then adding the egg. After adding the egg, you can then mix in the flour, baking soda and raisins until it is just combined. Keep the cookie dough in the fridge for 15 minutes. When you take it out of the fridge, you roll the dough into a ball and flatten the ball slightly on a cookie sheet. Afterward, the dough is baked for 15-17 minutes. However, I made this recipe twice, once as a giant cookie and the second time as a regular sized cookie. I portioned out one tablespoon scoops of cookie dough and baked them for 12 minutes at 160. This batter made 12 one tablespoon sized cookies. The outside of these cookies was crunchy and I loved that. This cookie was not gooey but it remained soft even on the next day. The giant oatmeal raisin cookie did not dry out even when I baked this recipe into tablespoon size cookies. When baked as a giant cookie, this recipe produced a thick, chewy, and soft cookie. However, when baked in smaller sizes, the edge of the smaller cookies was crisp. Adjust your baking time to suit the size of your cookie. This is the best part of this cookie. 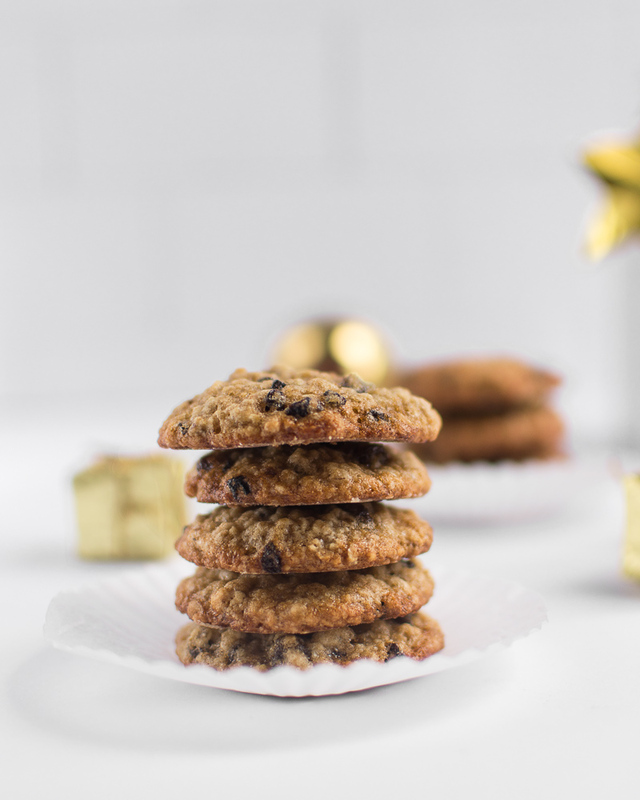 When you bite into this giant oatmeal & raisin cookie, you first get the sweetness, then you get the notes of caramel from the sugar in the recipe. There is also a more mellow flavor from the brown sugar and that works amazingly with the vanilla and the nutty flavor of toasted oats. The vanilla flavor is not prominent but it is has a place in the flavor profile of this cookie. The raisins have a dominating flavor that pushes past all the other flavors when you bite into the cookie. I feel the raisins were too much. Is there anything I would do differently with this cookie? No, I will keep baking this cookie in Tablespoon servings. I may try this recipe with the addition of some unsweetened desiccated coconut. 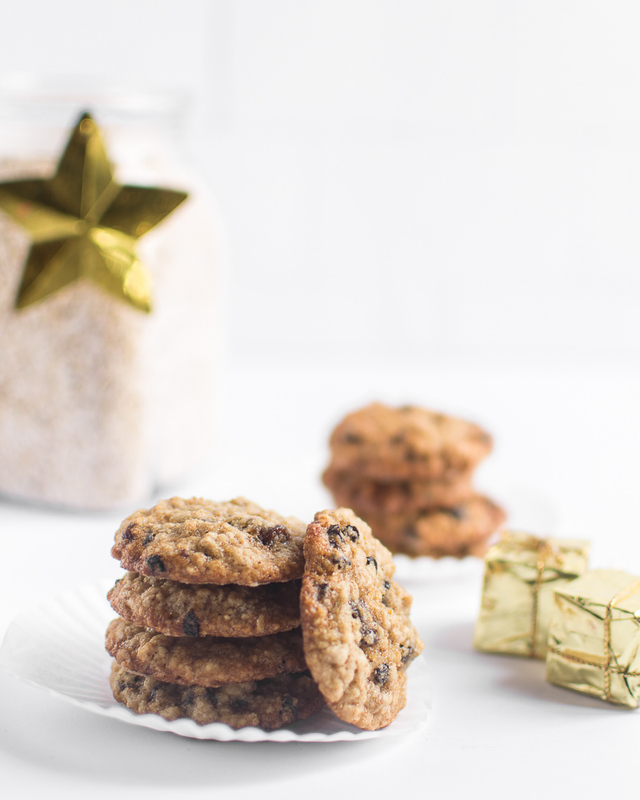 Yes, I love this recipe and suggest that you add the Giant Oatmeal & Raisin cookie to your holiday baking list or dessert spread. If you enjoyed reading this recipe review, leave a comment and share this post. If there are other recipes that you would like me to review, leave a link in the comment section. 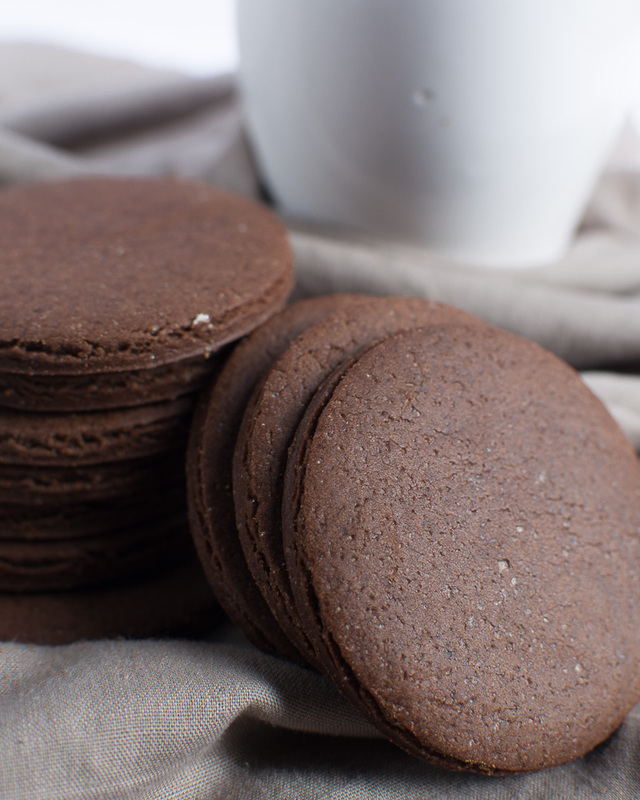 Today i will review a chocolate crinkle cookie recipe. So, I had been having an annoying weekend and to cheer myself up; I tried a new recipe for the #holidayeats series. I found the Chocolate Crinkle Cookie recipe from Bigger Bolder Baking and was sucked in. If you read my blog posts regularly, you should know that I do not love chocolate desserts because I have not found an amazing chocolate recipe. Before I begin the recipe review, you should know that this recipe makes a huge cookie. I was not prepared for how big it would be so I divided the cookie dough into two. I rolled each cookie into a ball and flattened it until it was 3 ½ inches wide before baking it. 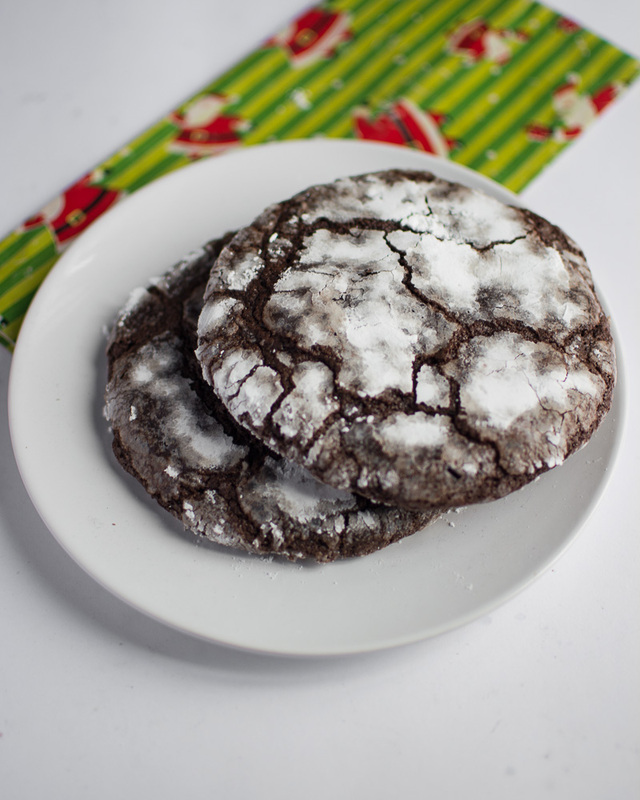 This chocolate crinkle cookie recipe includes the standard chocolate cookie ingredients and is easy to mix. It did not contain a lot of oil when compared to the other ingredients in it. There was also a large amount of cocoa powder in this recipe, half the quantity of flour. Mixing this recipe is easy and you will not need a mixer. Making this cookie dough involves mixing your oil and sugar till well incorporated. Then, you add your egg and mix it thoroughly before adding your flour, cocoa powder, and baking powder. After mixing the ingredients till they are combined, you put your dough in the fridge for a few minutes. This will make the cookie dough easier to handle. After you take the dough out of the fridge, you can bake it. You roll the dough into a ball, then into some icing sugar and flatten the dough slightly before baking. First, the instructions state that these cookies should be baked for 10 minutes and then taken out of the oven. However, I baked this for 15 minutes before switching off the oven and left it in the hot oven after the baking time elapsed. Why? I hate cookies that are gooey on the inside. It is my pet peeve. I love crunchy cookies. To prevent the gooeyness, I cooked the cookies just a little longer. While warm, the center of the chocolate crinkle cookie was soft, but the edges were still crisp and firm, Firm enough to allow me to pick up the cookie. 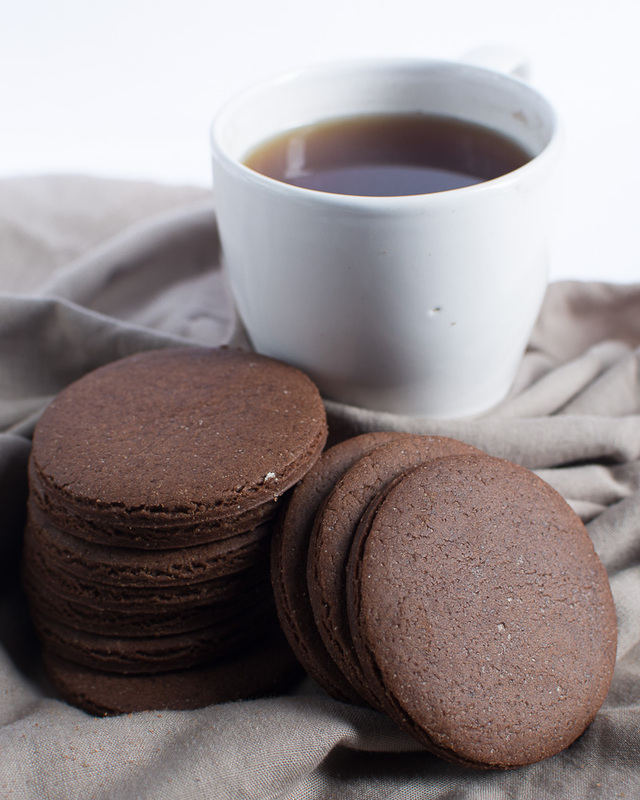 The icing sugar at the bottom of the chocolate crinkle cookie had caramelized slightly. This created a crunchy layer of sugar, the edges of this cookie were crisp but the center took the prize. 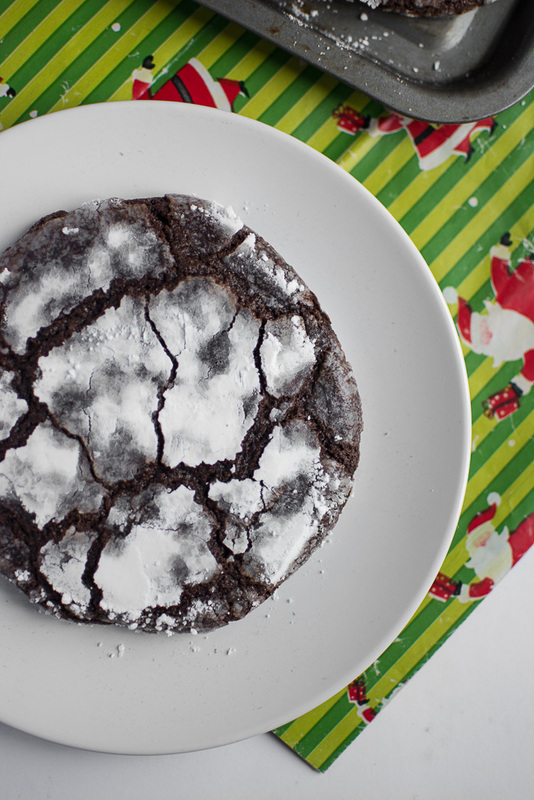 The center of the chocolate crinkle cookie had the texture of a brownie. The center was soft but chewy and it reminded me of the brownies that were in the Ben and Jerry's chocolate fudge brownies ice cream. This used to be my favorite Ben and Jerry’s ice cream flavor. This cookie was firm, crunchy outside, chewy inside and was soft but not gooey. Note: Even when the cookies cool down and are a day old, they are still soft and chewy. The flavor of this chocolate crinkle cookie is a little more complex than the average chocolate cookie. This is a very sweet cookie. When you bite into it, you get the sweetness of the icing sugar and you are almost immediately met with the bitterness of the cocoa powder. However, it is not bitter enough to overwhelm you and make you spit it out. It merely adds a layer of flavor to the cookie. The chocolate crinkle cookie tastes like bitter-sweet chocolate. While baking this cookie, the icing sugar at the bottom cooks and caramelizes slightly. This adds a mild caramel flavor to this cookie. Overall, the taste and texture are amazing and I would not change anything. Yes, especially for the holidays. However, this recipe makes a giant cookie. It is not a single serving size cookie as implied. While writing this review, I ate half of the cookie this recipe made and I had a stomach ache later on. 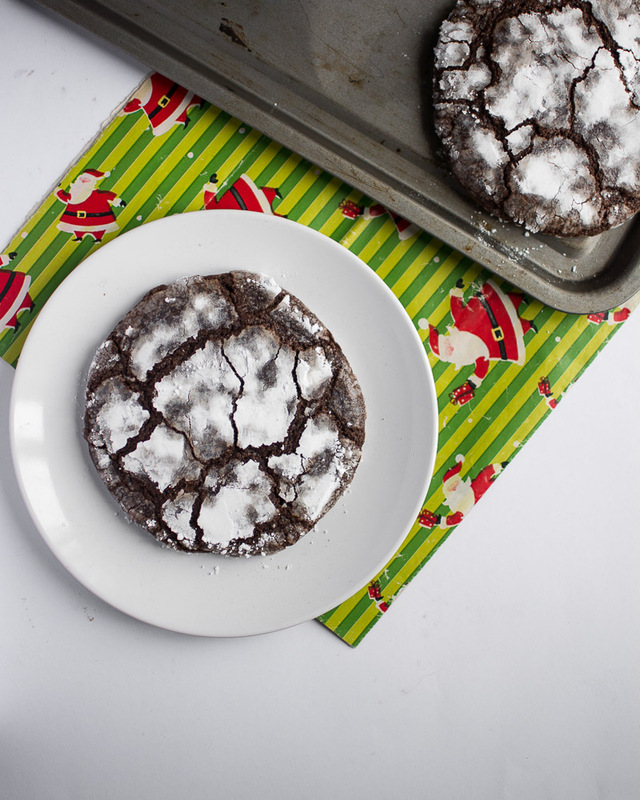 So, bake this chocolate crinkle cookie for your holiday visitors and your family. They will be fascinated by the giant cookie, its amazing flavor and texture. Children may find this slightly bitter because of the amount of cocoa powder in this recipe. Thank you for reading my recipe review. 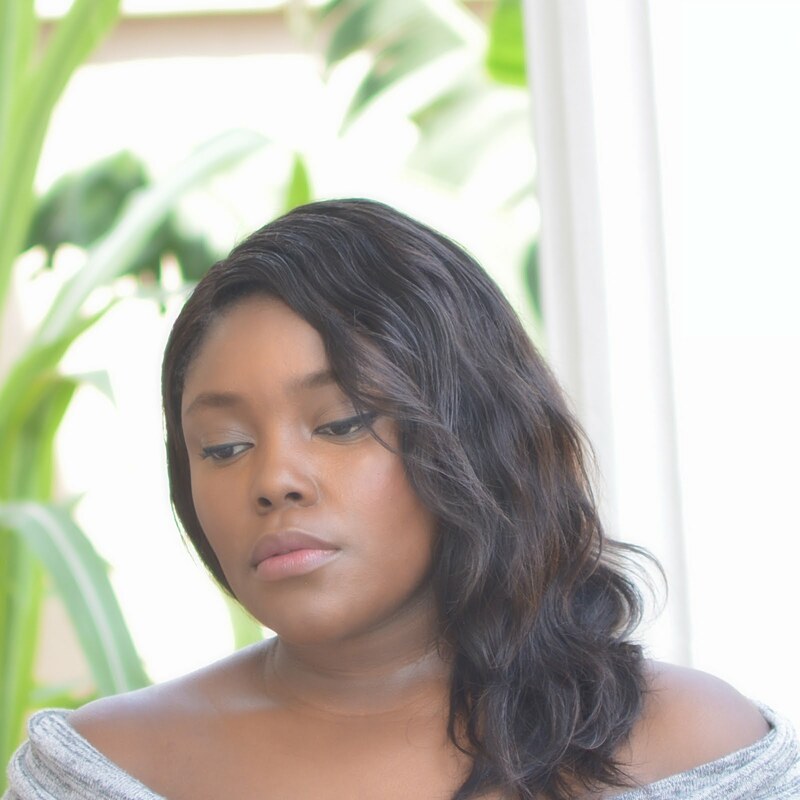 Comment and subscribe to my mailing list to read other recipe reviews and baking tips. If there is a recipe, you would like me to try, leave it in the comment section. I love to read from you. Hi, I'm Mide (Mee-day). Nigerian, Baker, Recipe Tester (Taster) and Food Photographer.